Dr. Avi Islur is a Board Certified Cosmetic and Reconstructive Plastic Surgeon in Winnipeg, MB who has performed over 15,000 procedures. He has trained many other cosmetic and reconstructive plastic surgeons around the world and is the Assistant Professor in the Faculty of Medicine at the University of Manitoba. 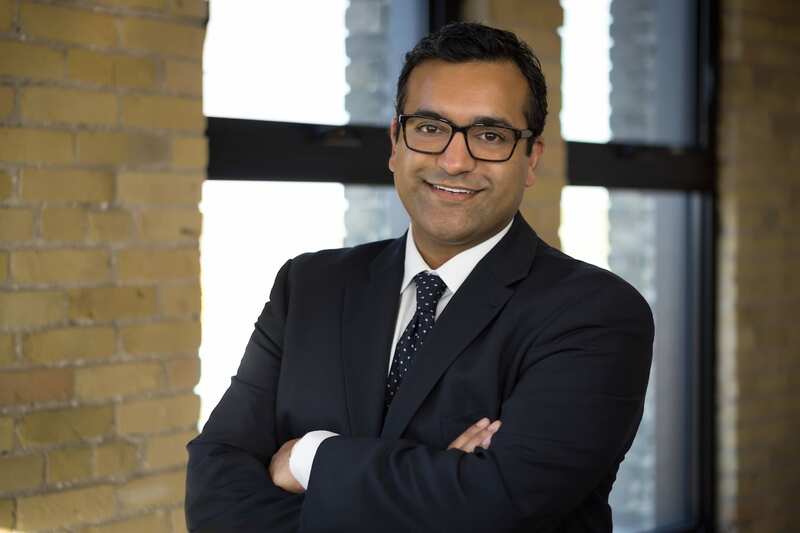 Dr. Avi Islur serves as the Chief of Plastic Surgery at the Saint Boniface Hospital, and has volunteered hundreds of hours to work as the Director for the Plastic Surgery Residency Training Program. He is also an active member of the International Society of Aesthetic Plastic Surgery which includes Worldwide Leaders in Plastic Surgery and the Highest Standards of Patient Safety. Dedicated to the art of cosmetic and reconstructive surgery. The pursuit of beauty and restoring one’s self image is within your reach. Dr. Avi Islur received his bachelor of science degree in biology at The University of Western Ontario in 1998, then obtained his medical degree from The University of Toronto in 2002 and went on to complete his residency in Plastic and Reconstructive Surgery at The University of Manitoba in 2007. Additional sub-specialty training in 2008 was completed in San Francisco at the prestigious Buncke Clinic. Dr. Avi Islur is currently offering cosmetic and reconstructive plastic surgery in Winnipeg, Manitoba. Dr. Avi Islur was born and raised in Toronto, Ontario. Throughout his life, Dr. Islur has studied all forms of art and has carried this passion and study into his career. He is a published author of articles and book chapters in plastic surgery, reconstructive surgery and microsurgery literature. Dr. Avi Islur has presented research at national and international reconstructive and plastic surgery conferences. Dr. Avi Islur travels regularly, visiting with leaders in the field of reconstructive and cosmetic plastic surgery to teach and exchange surgical information. He is constantly refining his techniques and operates with the most advanced technology on the market. Watch this Video to discover more about Dr. Avi Islur. Dr. Avi Islur is not just a cosmetic surgeon, he is also a Board Certified Reconstructive Plastic Surgeon. Most of the world’s best cosmetic surgeons began with reconstructive practices. In fact, almost all of the groundbreaking techniques in cosmetic surgery have reconstructive origins. Reconstructive surgery cases are typically more complex and the patient’s treatment often requires highly specialized, advanced surgical techniques. Dr. Avi Islur’s comfort, confidence, and predictability with these advanced reconstructive techniques have become powerful tools that are often adapted to his cosmetic procedures. Dr. Avi Islur is an active member of the International Society of Aesthetic Plastic Surgery which includes worldwide leaders in plastic surgery and the highest standards of patient safety. Dr. Avi Islur’s experience with complex reconstructive procedures allows him to safely and predictably achieve superior results. At the time of your initial consultation you will meet with Dr. Avi Islur directly. Your measurements will not be taken by a nurse or surgical administrative staff like most other cosmetic clinics in Canada. Dr. Avi Islur is very meticulous and believes that proper surgical planning with a Board Certified Cosmetic and Reconstructive Plastic Surgeon is imperative to achieve optimal aesthetic results. Your unique measurements and surgical options will be thoroughly discussed with and determined by Dr. Avi Islur. Visit Dr. Avi Islur’s Patient Reviews Page to hear what other patients have to say about their surgical experience with Dr. Islur. At the time of your initial consultation, you will sit down with Dr. Avi Islur to discuss your cosmetic surgery goals in detail. Once all of your questions are answered, Dr. Avi Islur will assess your existing measurements to determine the best surgical techniques to achieve your desired results. Dr. Avi Islur’s cosmetic surgery patients are seen at the First Glance Aesthetic Clinic & Surgery Centre located in Winnipeg, Manitoba. Reconstructive plastic surgery patients are seen at Dr. Avi Islur’s office located on Tache Avenue in Winnipeg, Manitoba. Watch this Video to learn what you can expect from your cosmetic surgery consultation with Dr. Avi Islur. Dr. Avi Islur’s surgical approach is based on the ideals of natural aesthetics. The Canadian way of life, where appreciation of beauty, simplicity, functionality and healthy living influences everything in his cosmetic and reconstructive surgery practice. Dr. Islur’s focus is on providing a natural appearance that respects the balance and proportions of the face and body to produce results that restore and enhance, but are never overdone. If you have a preferred surgery date, do not wait until it’s too late! Dr. Avi Islur runs a very active cosmetic practice, patients typically book well in advance for consultations and surgery dates.